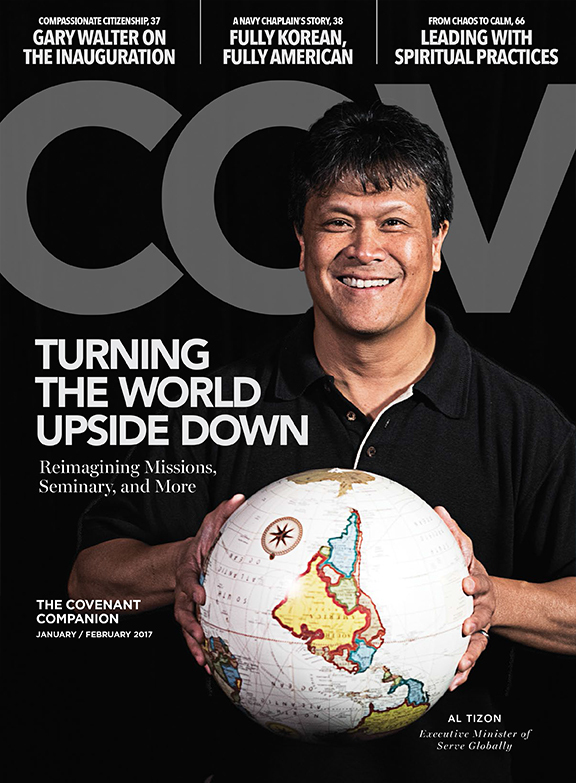 The Covenant Companion is an award winning magazine and online news source. As the denominational magazine and news source of the Evangelical Covenant Church, it informs, stimulates thought, and encourages dialogue on issues that impact the church and its members. Articles deal with Christian life, the church, spirituality, issues impacting the Christian community, social justice, and outreach ministry. Receive our 68-page bimonthly magazine for just $19.95 per year. Covenant Newswire is a free service that delivers the latest Covenant news and announcements directly to your email inbox. You will receive at most one message per day containing a short summary with links to the complete text of each article. To subscribe for Covenant Newswire emails, click here. Access the latest Covenant news on Twitter and Facebook. Stay updated as articles post, and share the ones you find important. Follow @CovMagazine on Twitter and Cov on Facebook today.